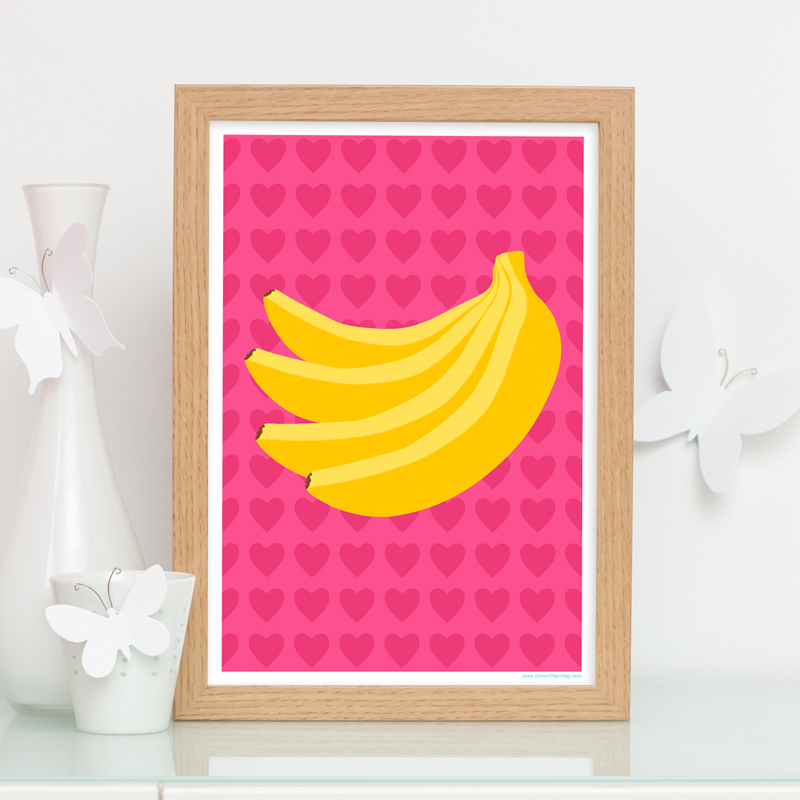 This bananas and hearts art print will make a fantastic and fun addition to your home, perhaps in your kitchen. The print comes from a range of six different fruit and hearts prints; the others feature oranges, cherries, watermelons, a strawberry and kiwi fruit. Take a look at all six and choose your favourite collection of prints to brighten your home! The design shows a bunch of beautiful yellow bananas, placed in front of a gorgeous pink heart patterned background. The print is available in 7×5 inch unframed, 7×5 inch framed, A4 unframed, A4 framed and A3 unframed. Be the first to review “Bananas And Hearts Art Print” Click here to cancel reply.